Due to staff holiday, orders placed between 20/03/19 and 10/04/19 will be delayed. Sorry for any inconvenience. 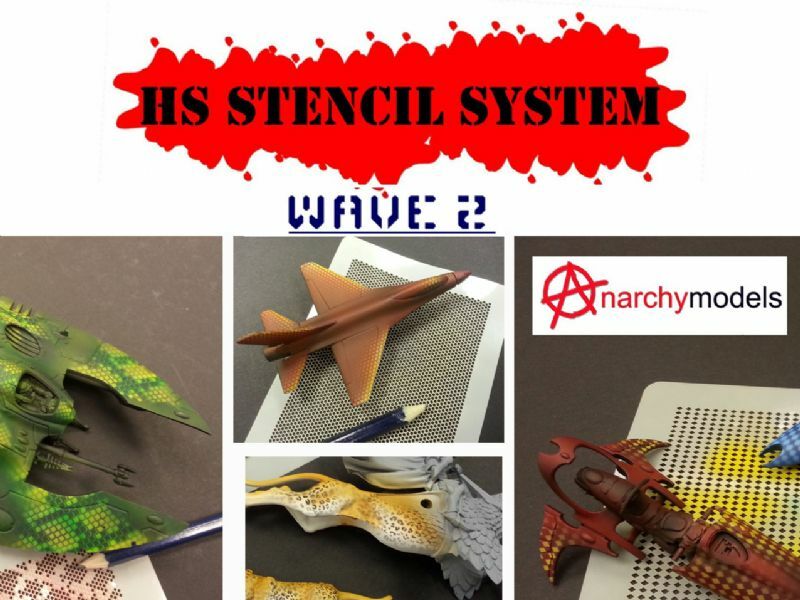 Well, here's the good news: Anarchy HD Stencils just made the impossible possible. 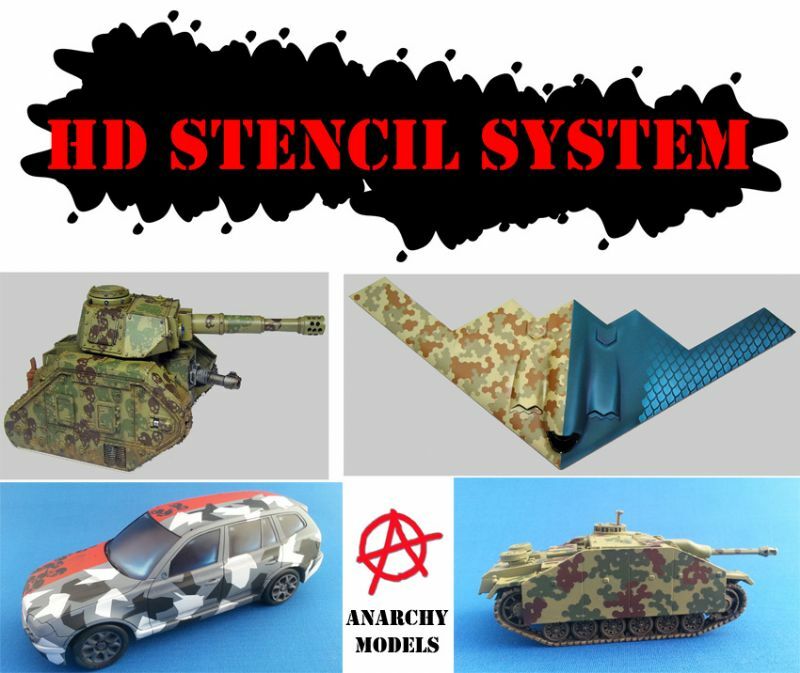 The HD range is made from an ultra thin, fully flexible, slightly stretchy low-tac mask which allows you to apply precise detail to curved and 3D areas of your models with unbelievably awesome results. The flexibility of the stencil means that you can bend paint around corners - It's not quite as cool as bending air, but we think it comes pretty close. HD Stencils were launched on Kickstarter in 2013 and to be honest we were wowed by the response from the public. The campaign ended at 15 times our target! Although the Kickstarter project has now ended you can still view most of the designs on our Kickstarter campaign page, plus video tutorials. We don't just want you to buy our stuff - we want to help you use it :) There are also pics of the range in our gallery, including some customer's pics so you can see what mere mortals can accomplish with our stuff! Send your completed project pics to us too! HS means High Speed. 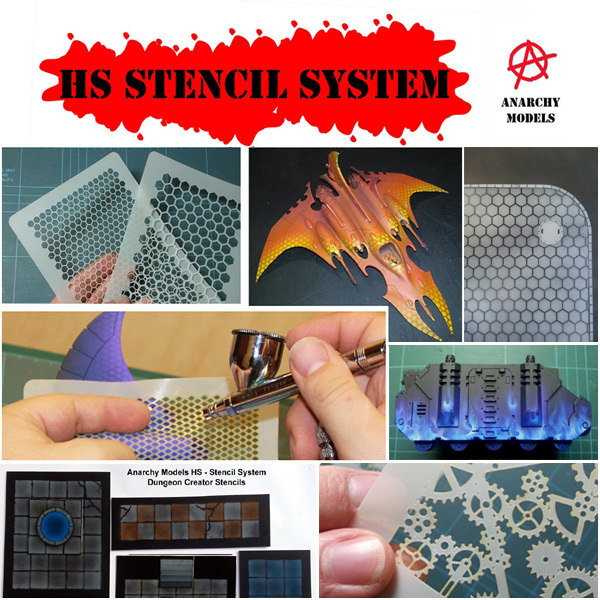 Non-sticky, semi flexible, FULLY reusable,semi transparent, washable sheet stencil - great where speed is of the essence and where a slightly less sharp effect is required. Great for painting both models and terrain in super quick time! WAVE 1 of our HS Stencil range is now on sale to the public. Prices depend on size and complexity of stencil.